What now for the Crown? Is there a future? These are worrying times, with the centre of Hadleigh in turmoil, plans being made for changes called regeneration and a large area given over to just one outsize vendor. The future of the boarded-up Crown Inn is a part of those deliberations. One problem the Crown faced was the fact that the bypass (Kingsway) was built in the 1920s and of course the new road was the place to be. The Crown faced the High Street to the south, the wrong way. Its back garden became a car park eventually and the back of the building became its front. My own experience was not a happy one, though that was before a change of management attempted to improve matters. We had visitors from Switzerland who expressed a desire to visit a local hostelry and they had seen the Crown in the centre of Hadleigh. My mistake was to try to be a good host and give way contrary to my own inclinations. It was an embarrassing and short evening. In an unfriendly interior we were the subject of observation by the only other visitors, a group of skinheads, whose space, it seemed, we had invaded. Maybe the air of menace existed purely in my imagination? Has the collapse of the Hadleigh Regeneration Plan opened up a chance for the Crown to be saved? If enough people tell their councillors, perhaps any new plan can be for refurbishment rather than demolition of this heritage building. The present rooflines could be reslated and it’s historic south face onto the High Street conserved. Maybe not as a pub, but how about as the new town hub with community funded space for art studios upstairs and a functions hall/meeting rooms and community coffee bar downstairs. The sites of the former garden and northern outbuildings could be sold to a developer for building some of the much needed housing for local people and, once such a hub was completed, the previous plan for converting the fire station to flats could be followed up by a developer providing more much needed accommodation. If the County Council feels unable to back a renewal of their library at this time, they could consider that element separately for themselves in the future. Anyone out there with the ability and drive to lobby for and see such a community project through? I’d be happy to follow your lead. Having spent a lot of time on this site today, I have turned to look at this historical feature. 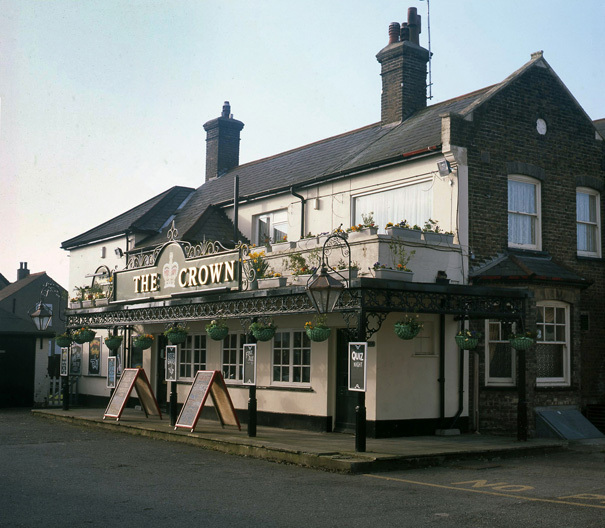 Elsewhere on the site you give mention to the fact that “The Crown” has it seems been in existence from the late 1700s; I am therefore somewhat intrigued as to why the building has no evidence of a preservation order thereon. Surely this part of our local history deserves that! Are there any persons out there who feel the same? 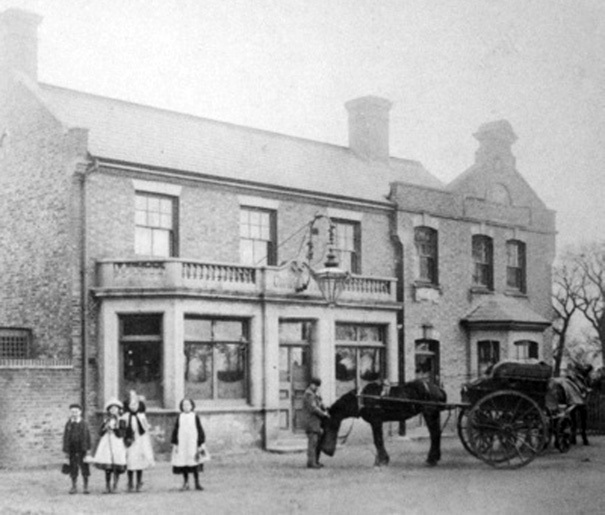 Should we be considering a local community project in order to save what is clearly an integral part of Hadleigh’s history before, like many other landmarks, it is lost forever? I had a similar feeling in the Crown many years ago and so did a friend. However, it is an historic building and I am sad to see it stand empty and ugly and to hear continued rumours of its demolition. The collapse last week of the Bell Hotel in Leigh will not encourage developers here to consider keeping the Crown, which I understand is already in a state of disrepair, and yet I do hope it can be saved and used. Anyone else feel the same?